Coming in September are several workshops and courses with Learning Technology Services to help you learn a new tool, enhance your course, and get a few faculty development credits. 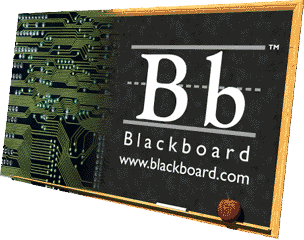 Wednesday, September 19, 2012 Webinar — 2:00 – 4:00pm: LTAD3180 2 Navigating Blackboard(CRN 2381): This course is designed to help faculty navigate the Blackboard Course Management Environment. Note: This course is an online synchronous, interactive webinar. 2 PD Hours. Wednesday, September 26, 2012, Webinar — 2:00 – 4:00pm: LTAD3181 Adding Content to Blackboard(CRN 2356): This course is designed to help faculty add content in the Blackboard Course Management System. Note: This course is an online synchronous, interactive webinar. 2 PD Hours. Friday, September 7, 2012, West Campus Room 7-140 — 2:00 – 3:00pm: LTAD3187 Faculty Front Door(CRN 2510): is a user-friendly tool for creating a faculty web site to display your syllabus, and course materials. In this hands-on workshop, faculty will learn the key features of the tool and create a simple website for their course. This course will be offered again Thursday, September 20, 2012 West Campus Room COD 1 from 6-7pm. 1 PD Hour. Friday, September 14 – Monday, October 15, 2012: LTAD3282 Blackboard Essentials(CRN 2198): In this project-based course, participants will learn how to prepare their courses for delivery using the blackboard learning management system (LMS). Successful completion of this course is demonstrated by completing a learning module containing certain required elements to demonstrate your ability to use the tools. Note: This course requires weekly synchronous virtual meetings in addition to online coursework. Thursdays, September 20, September 27, October 4, and October 11, 2012, Online Webinar 5:00 – 6:00pm. 10 PD Hours. Click on Step 3: Register for Classes/Withdraw. NOTE: Faculty development courses will appear on your Atlas professional development transcript. How to print a professional development transcript. As we embark on teaching in the latest version of Blackboard, we have designed some discussion and overview sessions to help our faculty and staff learn about the latest changes. Bagels and Blackboard is an opportunity to (1) learn about specific changes in SP9 and (2) get general questions on Blackboard answered. No PD or Faculty Development Credit will be offered for these sessions. These sessions are designed to get your questions answered and to meet members of the Learning Technology Services (LTS) Instructional Design team. A short presentation on new features will start at 9:00 a.m. on the dates listed below and the team will stick around to answer questions until 11:00 a.m. Feel free to stop in anytime between 9:00 a.m. and 11:00 a.m. to join us to learn more about Blackboard’s latest features and meet the team. Click the registration button below to RSVP for this event, even if you are just dropping by for a short time. This entry was posted in Educational Tools, Webinars & Training and tagged blackboard, education and technology, educational tools, instructional design, news, software, valencia college, Web 2.0, webinar. Bookmark the permalink.